Christmas is the most awaited time of the year of the year in the Philippines and for most Filipinos, it is more than a month-long festive season. And along this note, Sofitel Philippine Plaza Manila celebrates the season with Art de Noel with A Christmas Melody. It is indeed a joyous treat especially for kids and the kids-at-heart as they visit gift station at the lobby of Sofitel Philippine Plaza Manila. Adorable wooden toys and trinkets, and other lovely treasure finds. Of course, the festivities won't be complete without mouthwatering Christmas goodies. 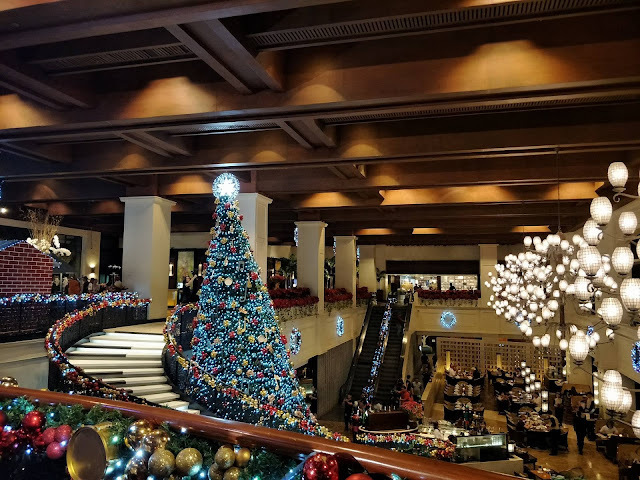 Friends and media guests witnessed the ceremonial tree-lighting ceremony that officially heralds Sofitel Philippine Plaza Manila's Art de Noel with A Christmas Melody. 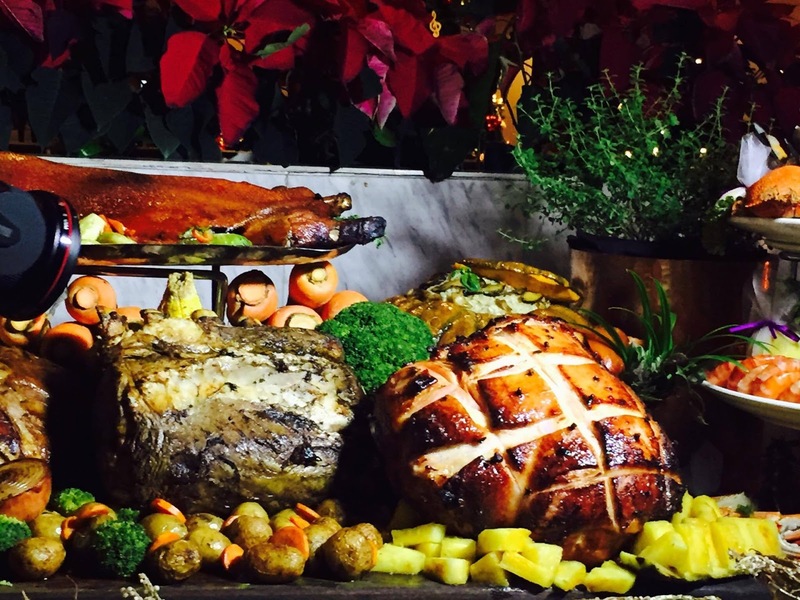 And highlighting the festive season are Sofitel Philippine Plaza Manila's exciting Christmas promotions. Escape to an urban oasis for the holiday season and experience a Christmas staycation at Sofitel Philippine Plaza Manila featuring an overnight stay with breakfast for 2 adults and 2 children (11 years old and below) at Spiral, complimentary in-room family movies, La Boutique voucher worth Php500, Le Spa voucher worth Php500 and Vietura Aesthetic Lifestyle voucher worth Php1,500. Rates start at Php7,000+++. Experience this holiday special with rates applicable from December 30, 2016 to January 1, 2017. Other terms and conditions apply. For inquiries and reservations, please call +63 2 551 5555 or email H6308@sofitel.com. Gather family, friends and loved ones for a heartwarming festive feast as Spiral’s culinary artisans prepare a symphony of gastronomic offerings. Spiral presents a playlist of traditional festive dishes and signature offers including Christmas ham, turkey with stuffing and cranberry sauce, roast suckling pig, sushi lollipops, veal sweetbread vol-au-vent, lobster thermidor, truffled macaroni gratin, Yorkshire pudding, a succulent selection of different caviars and a treasure-trove of seafood favorites. Memories at home resonate with local culinary favorites of lechon, beef morcon, chicken embutido, and goat kaldereta. The L’Epicerie showcases a rich variety of artisanal cheese ideal for wine pairing as you toast to the holidays. Around the corner, Spiral’s Chocolaterie and Creamery presents a colorful collection of decadent desserts featuring Italian panettone, Mont Blanc, log cakes, gingerbread and Filipino desserts to end the evening’s journey of taste on a sweet note. Live musical entertainment serenade our gourmands for a wonderfully sensory and magnifique celebration. Young VIPs have a fun-filled calendar of activities ahead for their Christmas holiday with programs and special animations thanks to Santa’s little helpers. Children on the Nice List can expect special treats as Santa makes his jolly rounds on the 24th of December 2017 from 7pm and at 12:30pm on Christmas Day. For inquiries and reservations, please call +63-2 832 6988 or email H6308-FB12@sofitel.com. Celebrate the festive season with a romantic evening engagement or intimate gathering set amidst an elegant Parisian style lounge reminiscent of the 1940’s. Indulge in a voyage through a menu of flavorful notes featuring a special holiday set menu enhanced with Le Bar’s signature Christmas Gueridon. 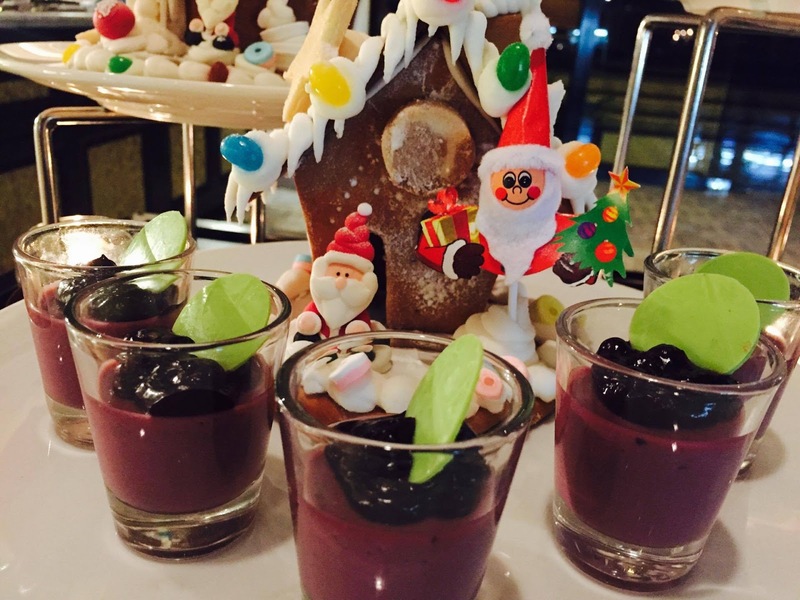 For gourmands with a penchant for sweets, indulge in decadent desserts from Le Bar’s colorful Christmas selection. Experience the magic of sweet and savory compositions at Le Bar. Le Bar’s Festive Offering is available on Christmas Eve Dinner and Christmas Day Lunch and Dinner. It features a 3-course meal and a glass of sparkling wine. Rate is set at Php2,600++ per person. Take yuletide celebrations outdoors as Sunset Bar presents a festive rendezvous featuring signature barbecued specialties and heartwarming festive favorites. Traditional Christmas ham, roast suckling pig and a sumptuous selection of seafood treasures await eager gourmands in an evening of gastronomic delights featuring live musical entertainment. Sunset Bar’s Holiday Feast includes free flowing iced tea and local beers. Stroll through a bustling and colorful Christmas market or Le Marché de Noël upon entering the Sofitel Philippine Plaza Manila lobby. 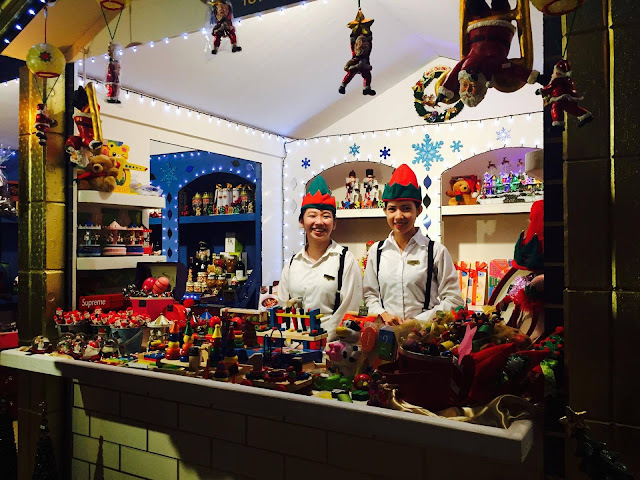 Indulge in the special offerings of this stretch of sensory treats featuring aromatic mulled wine, roasted chestnuts, local pastries, crêpes and Christmas candy as well as Christmas decors, kids toys and unique souvenirs. Santa will be stopping by during his festive rounds to greet our princes and princesses a Merry Christmas. For inquiries and reservations, please call +63-2 833 6954 or 551 5555 extension 1579 or 1529. Get ready for a bustling social calendar for the festive season and avail of Vietura’s 50% holiday savings on featured offers. Vietura Aesthetic Lifestyle is a premier aesthetic center specializing in beauty, wellness and navigating tailored programs towards the best version of you. Pamper yourself with relaxing treatments featuring healthy cleansing programs, facials and rejuvenating post-holiday regimen. Choose from a menu of packages available at Php50,000 nett, valued at Php100,000 nett. Don your stylish looks for the holidays and avail of Philippe Tordjman Le Salon’s special holiday offer. Treat your hair with care and wear your locks at its seasonal best care of Le Salon’s senior stylists with a new haircut and enjoy a free L’Oreal hair conditioning treatment. Offer is available until 31 December 2017.